I’ve updated the website template (and purchased the domain name) and would like to know if it is easy to navigate (especially on mobile devices). Obviously I can’t please everyone but hope that it is more streamlined and 2017 than before. I started Science Fiction and Other Suspect Ruminations way back in 2010. My first post bashed John Brunner’s Born Under Mars (1967) in vaguely substantive terms (sometimes I think about deleting my earliest reviews). Since then I have written some 300 odd review reviews, 114 cover art posts, and various film reviews, indices, lists, guest post series, an interview, etc. With all of this in mind, I thought I’d give you a sense of what is on the horizon. Reminder: If you’re the emailing rather than commenting sort I can be reached at ciceroplatobooks (at) gmail (dot) com. 1) I’m in the process of compiling a resource page for Barry N. Malzberg that would include links to reviews/interviews/academic articles from around the web. Let me know if there are any links you would like me to include. Even if you aren’t a Barry N. Malzberg fan, if you happen to come across in your SF perambulations any relevant information I’d be very appreciative if you’d send them my way. 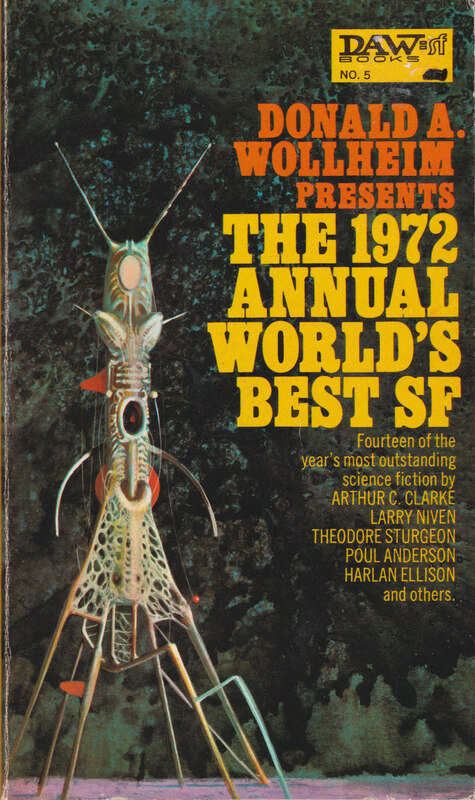 There is no better way to celebrate the New Year than with a pile of vintage SF acquisitions! You might notice the predominance over the coming weeks of UK publishers (Pan, Granada, Panther)—the images correspond to my editions. I acquired nine via a “secret” UK pipeline for a mere $3.50 each (with shipping) as a gift from my wife. Cue bad Chris Foss copycat (Tony Roberts and his ilk) covers. 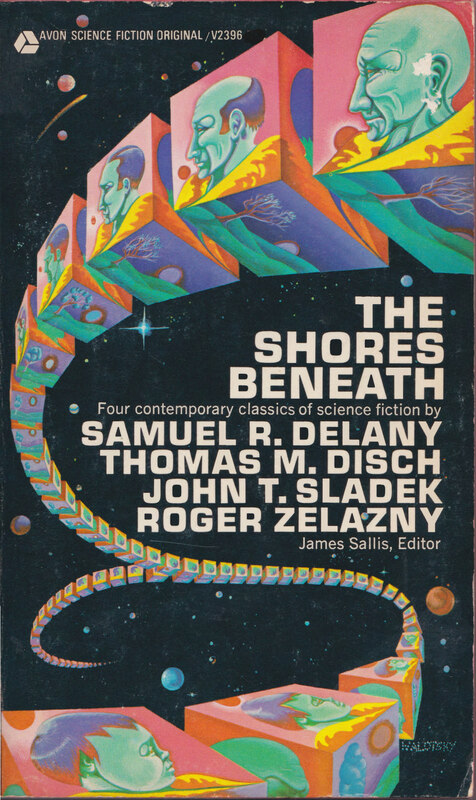 The disconnect between Thomas M. Disch’s 334 (1972) and the Tony Roberts spaceship pains me. The books: A lesser known Ian Watson novel. 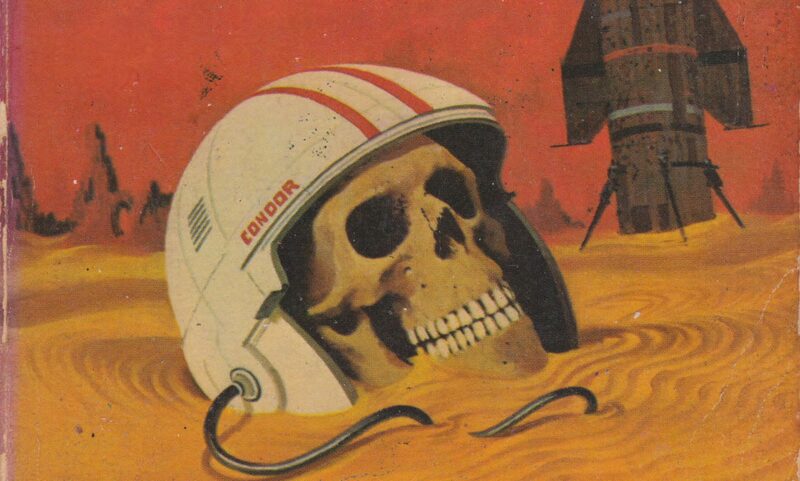 Anyone know the cover artist? His short fiction inspires: A Very Slow Time Machine (1979). I found Jonah Kit (1975) worthwhile although I never reviewed it. A collection of early PKD stories. I’ve read the majority of his short fiction in my omnibus collections of his work but it might be worth the reread. And finally, what I am most excited about, Disch’s best known collection of thematically linked short fiction…. Enjoy! As always, thoughts and comments are welcome. Procuring SF paperbacks never gets old! I have started scanning in the covers (two of the four below) in order to provide higher quality images (click to zoom)— especially if they are hard to find images online and/or I find them aesthetically pleasing (Powers + Lehr in this post). Let me know if the change is worth it! Josephine Saxton: Despite reading The Hieros Gamos of Sam and An Smith (1969) years ago, my mind still traces the imprint of its strange ritualistic beauty . Her short fiction was published in a range of SF magazines and collections from 1965 to 1992. I have tracked down a copy of her first collection. 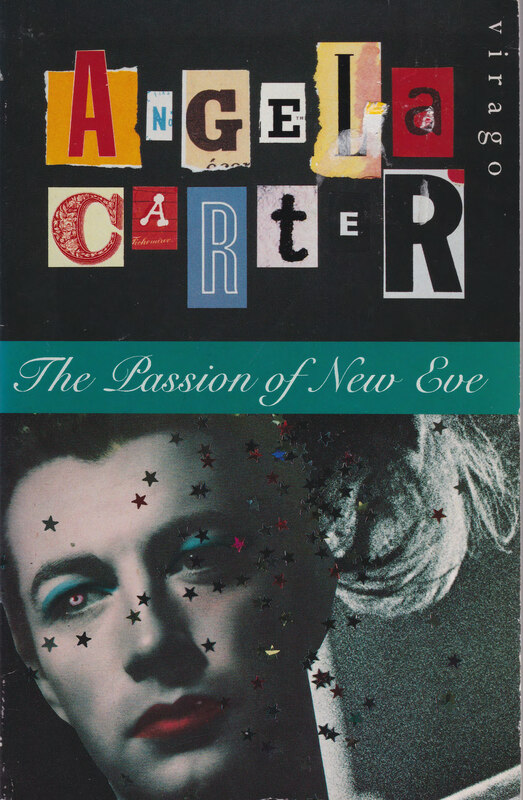 Despite its 1985 publication date, eight of the fourteen stories were published in the 60s/70s. 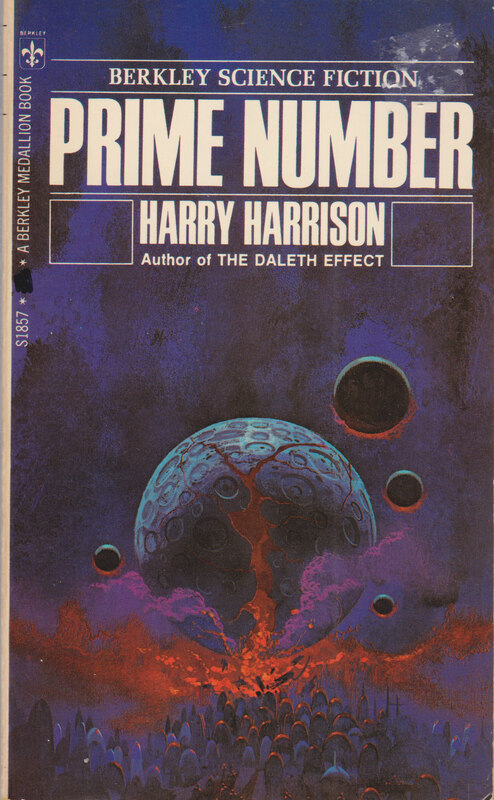 Harry Harrison: A “classic” author whose work I need to explore more: I’ve read Deathworld (1960), attempted to read Make Room! Make Room! (1966) and A Transatlantic Tunnel, Hurrah (1972) at least three times, and Lifeship (1976), which he co-wrote with Gordon R. Dickson. I’ve encountered his short fiction here and there and found “By The Falls” (1970) a satisfying New Wave endeavor. Time for more short fiction! New Worlds Anthology: I want all of them, end of story. And finally, the selection bound to surprise and confuse my regular readers…. 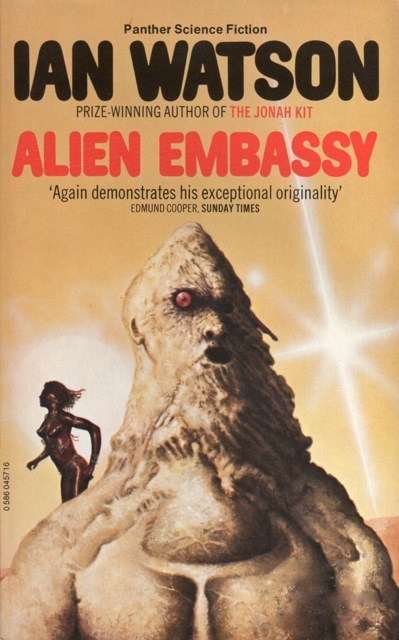 Aliya Whiteley: Despite my various protestations, I have not stopped reading new SF entirely. And I couldn’t resist finding a copy of Whiteley’s well-received fungal nightmare…. If you’re curious see Jesse’s review over at Speculiction. As New Worlds issues tend to be expensive and hard to find (especially in the US), Michael Moorcock’s anthology series provides satiating morsels from the magazine’s best period. 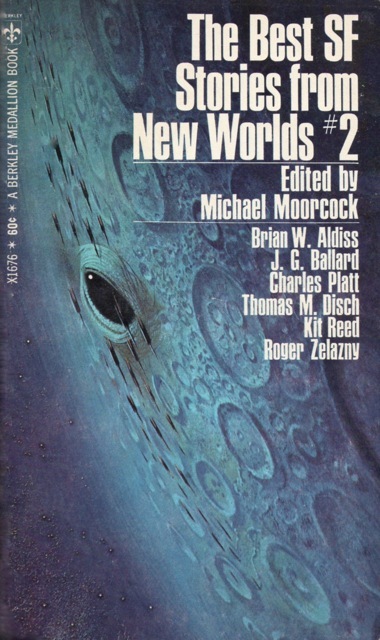 New Worlds was instrumental in the so-called New Wave movement. I am at home in eclectic and genre-challenging/subversive madness.